Clubs and Societies session with learners on Friday afternoon. 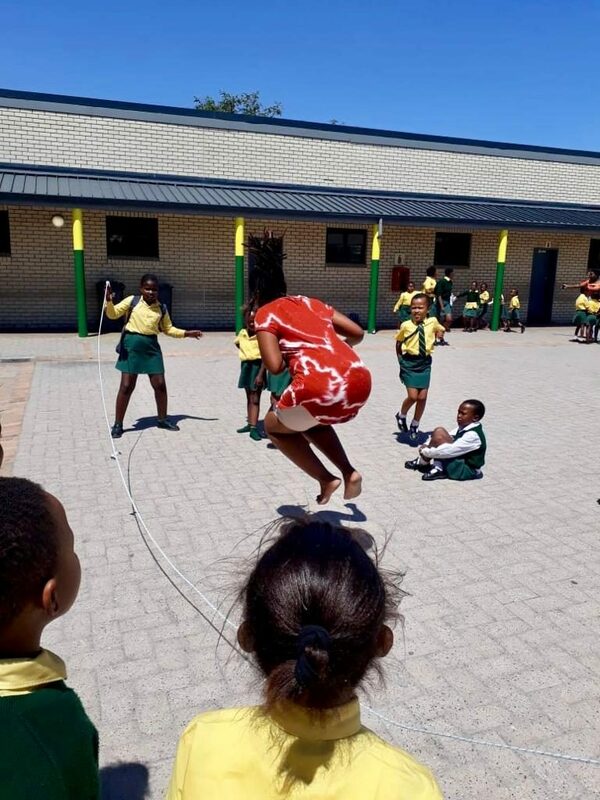 The idea with these Friday sessions is to have fun with learners by doing a range of activities. Learners from Grade 1–4 were divided into ‘teams’ and then rotated to ensure they participated in all the activities. A variety of workstations were set up, including soccer, dancing/singing, chess, other games, netball, and skipping. Volunteers and learners all had lots of fun and everyone is looking forward to the next Fun Friday!